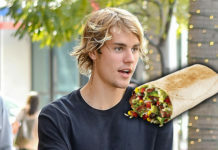 Most teenagers give back by simply donating their time and service, and that’s perfectly fine. 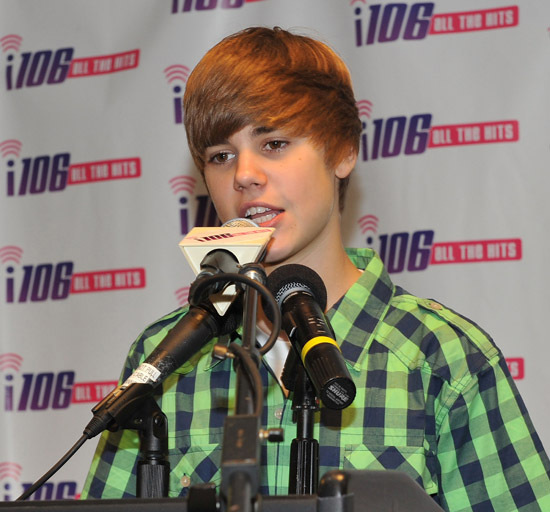 However, Justin Bieber isn’t like most teenagers! 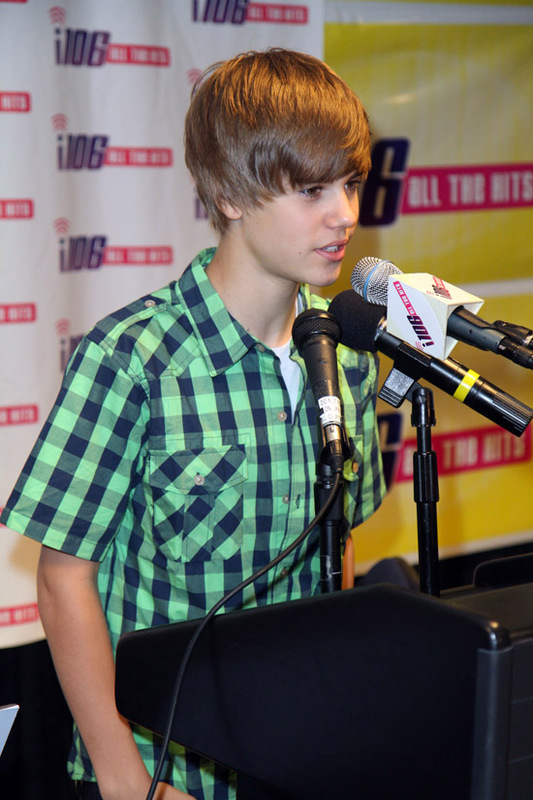 The young Pop sensation donated a portion of every ticket sale from his “My World” Tour concert in Nashville, TN to Middle Tennessee’s flood relief program. 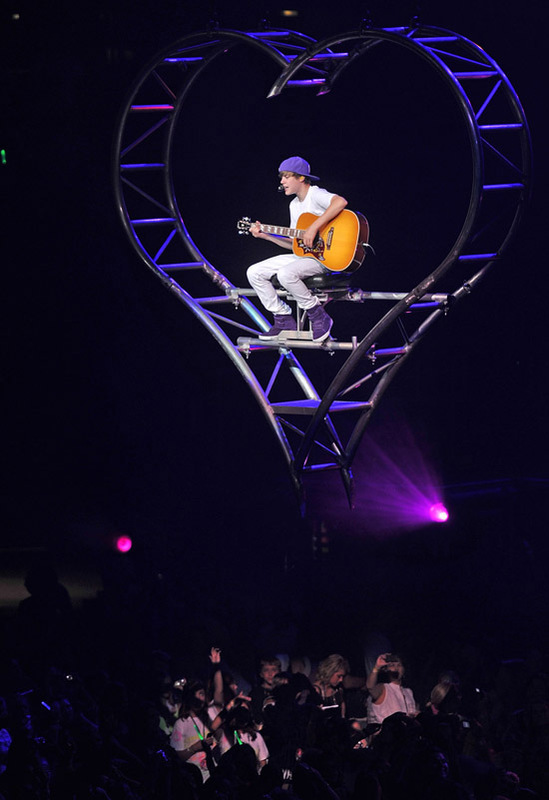 And AEG Live, the company behind the tour, matched the $32,690.60 donation! 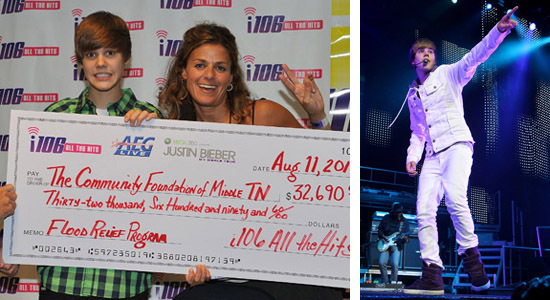 Combined with the proceeds from a show last month featuring Nickelodeon star Miranda Cosgrove and American Idol winner Kris Allen, Justin Bieber presented a check for nearly $33,000 to the Community Foundation of Middle Tennessee Wednesday (Aug 11) before taking the stage to perform a sold out concert later that night at the Bridgestone Arena in Nashville. The proceeds went to the nonprofit group Community Foundation of Middle Tennessee to help support the recovery efforts of areas affected by the recent massive flooding that occurred in Nashville back in May that killed over 22 people and caused more than $2 billion dollars in damage to the city, including the historic Grand Ole Opry House.